On April 12, 2017 it has been published in the Official Gazette, the Law of Support to Entrepreneurial Capital (Law No. 27,349). This Act incorporates into its forecasts, the creation of a new type of corporation called “simplified corporations” (SAS). This figure is not an original creation of our legislators, but rather a reception of the trend that has developed in the world in recent times in the matter and that aims to encourage the development of new ventures, providing a tool Agile to entrepreneurs, entrepreneurs and merchants in all scales. Why are Simplified corporations successful? The answer is simple, because it receives the best of each corporate figure. That is to say, it takes from the Limited Liability Companies the simplicity and the economy and from the Corporations, the agility and security. And not only this, but in our case, the law goes one step further, receiving digital and flexible methodology for its implementation and operation. To demonstrate this, here is a comparative table that reflects the most important aspects of the most used figures in the Argentine Republic, using as basis the news incorporated by Law Nº 27.349. Public or private instrument with certified signature. The purpose of the company must be written in precise and determined form. Cash: 25% and the balance in 2 years. 24 hours provided that the model type of constituent instrument is used. Capital increases within five times the capital stock do not imply a reform of status. It must be published and registered. The issue premium must maintain equality in each issue. Increases less than 50% of registered capital does not require registration. (I) By value of place. The value of the contribution may be established unanimously by the shareholders, or failing that, by the value of the share. The contributions will be valued in the form established in the contract, or in its default, according to the prices of place or the established by experts. Irrevocable contributions can maintain this character for a period of 24 months. If it is not provided in the instrument of incorporation, any transfer of shares is effective against third parties from its notification and registration in the Book of Registry of Shares. Limitation: The statute may limit the transferability of shares, regardless of their ban. If not provided for in the instrument of incorporation, any transfer of shares is enforceable vis-à-vis third parties from its notification and registration in the Share Register. The assignment of quotas is enforceable vis-à-vis third parties from their registration in the Register. Limitation: The contract may limit the transferability of quotas but not ban them .Compliance (majority or unanimity) of the partners or right of preference may be required. The Company is managed by a Board of Directors. The one that must be composed by at least one Principal Director and one substitute, when the society disregards union. In the societies included in art.299 (except subsection 7), the board of directors shall be composed of at least three titular directors. The management of the Company is in charge of the Management, which may be composed of a single Owner Manager. It is not necessary to designate Alternate Manager. The term of office of the Directors may be for a fixed or indefinite period. The term of the Managers may be for a fixed or indefinite period. If the administration is plural, at least one of its members must have a real domicile in the Argentine Republic. Those who have a domicile abroad must appoint a representative in the Argentine Republic. The call for board meetings must be made by the President within 5 days of receipt of the order. The holding of board meetings by electronic means is regulated by complementary regulations. The convocation to meetings of directory can be realized by electronic means, having to be sure its reception. Meetings can be held inside or outside the headquarters, even using electronic means. The social contract will establish the modality of action of each manager in case of plural management. The holding of management meetings by electronic means is regulated by complementary regulations. The meeting or assembly of shareholders is the governing body of the company. The resolutions of the shareholder constitute the government of the company. The meeting or assembly of partners is the governing body of the society. Shareholders’ meetings must be held at the headquarters or in the jurisdiction of the domicile. Shareholders’ meetings may be held at or outside the company. Assemblies are allowed by digital means. Resolutions adopted by the unanimous vote of the shareholders are valid, communicated to the management or by a written statement in which the meaning of their vote is expressed. Valid resolutions are adopted by unanimous vote of the members, communicated to the management or by a written statement in which the meaning of their vote is expressed. Corporations can only be part of joint-stock companies and limited liability companies. It cannot be created by another sole shareholder company. In order to constitute or maintain its character of SAS, the company may not be included in art. 299 subsections 1, 3, 4 and 5 of Law 19,550, nor controlled or linked in more than 30% of its capital by another company included in that article. In the event that the SA remains with a single shareholder, the company must reform its status and comply with the UAA regulations. 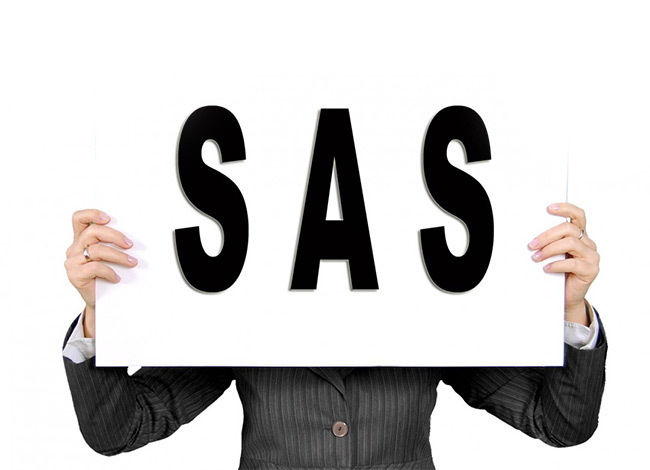 All companies incorporated under Law 19,550 may be transformed into SAS. In the event that the SAS is included in any of the cases mentioned in point 17, it must be transformed within 6 months of such situation. Although the art. 94 bis of Law 19,550 has omitted to mention the SRLs in said standard, the interpretation of that standard is unanimous is unanimous. In this sense, if it is to have a single partner, it must be transformed into SAU within a period of 3 months after the situation has been established.